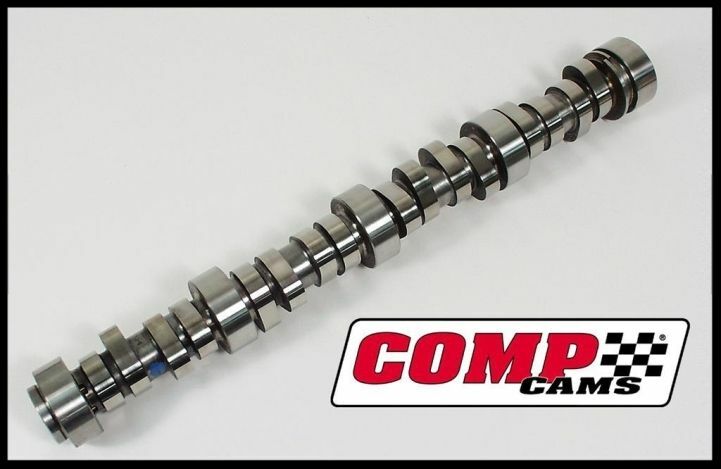 Comp Cams SBC Xtreme Energy Hydraulic Roller Camshafts. 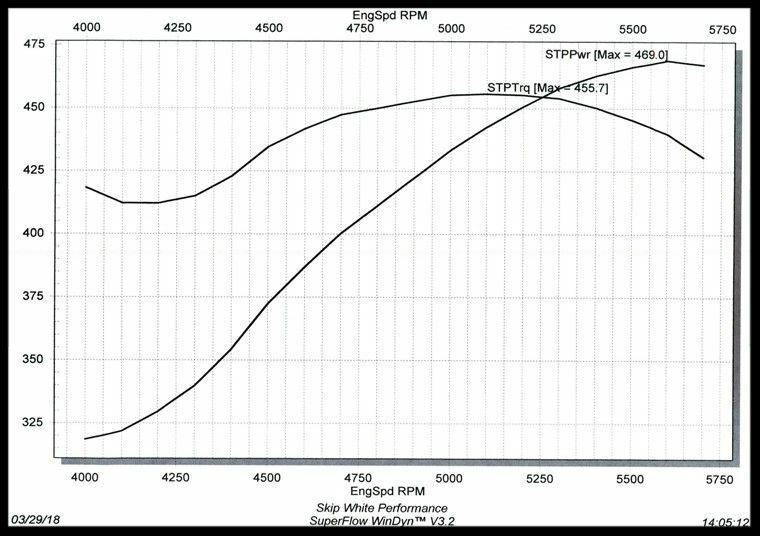 The dyno results below are from various engine builds that have chose this cam. 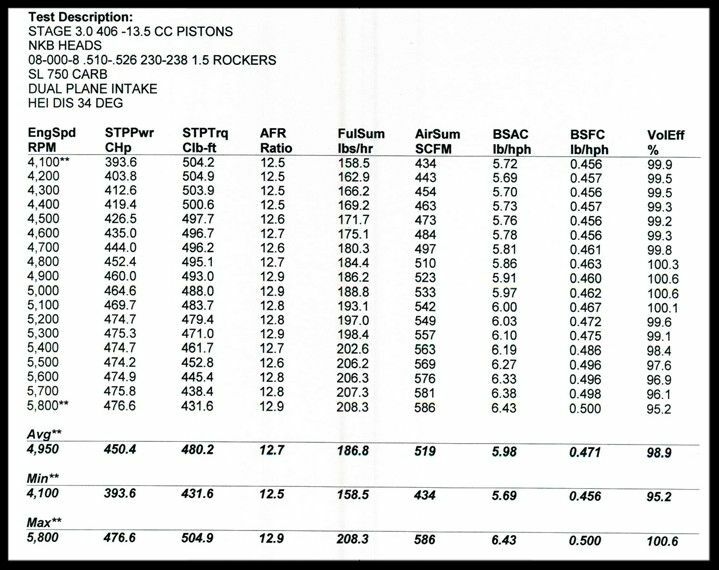 Carefully read the test description in each of the dyno reports below. 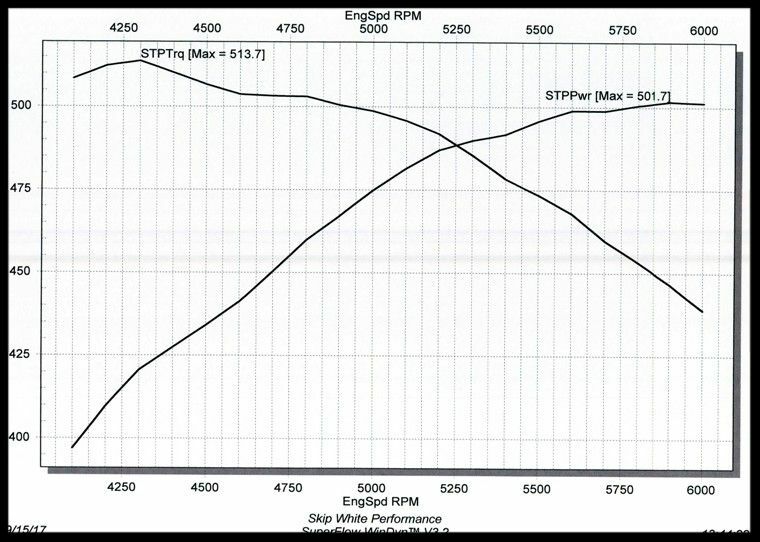 This exact cam was chosen in many of our sbc street rod engine builds. 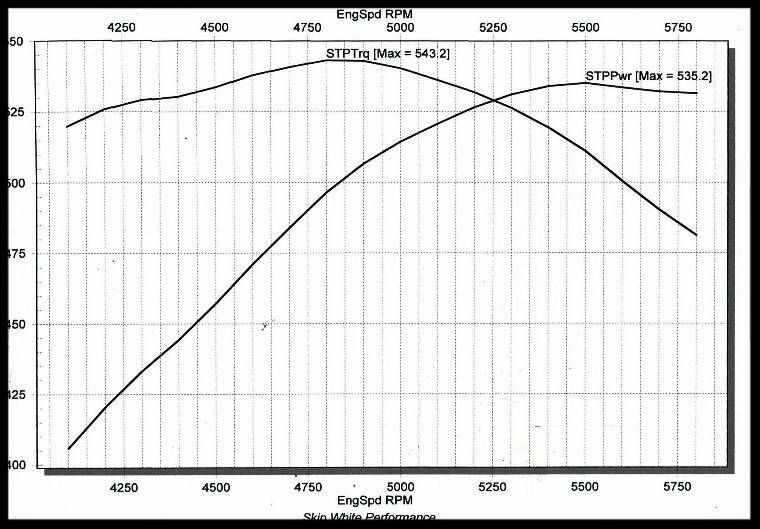 These are all pump gas street rod engines with approx. 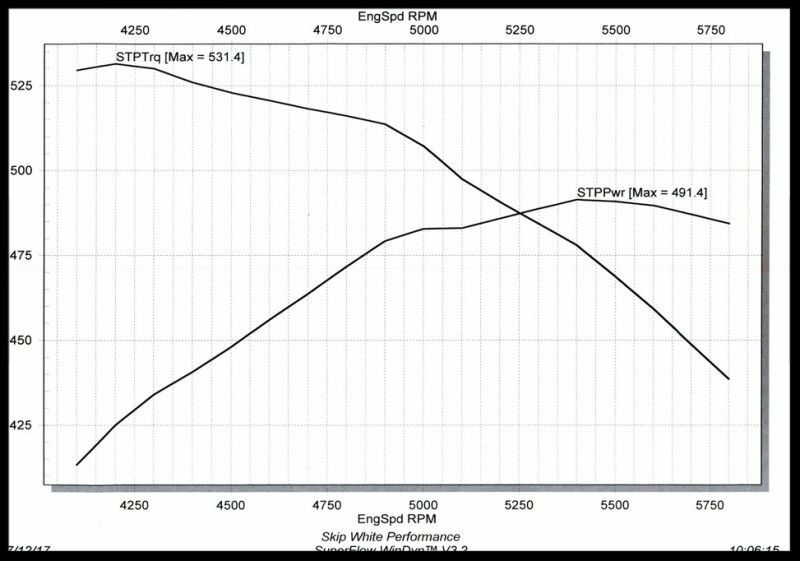 10.5:1 compression. Most of the 383 and the 421 engines are running our low cost NKB aluminum heads. 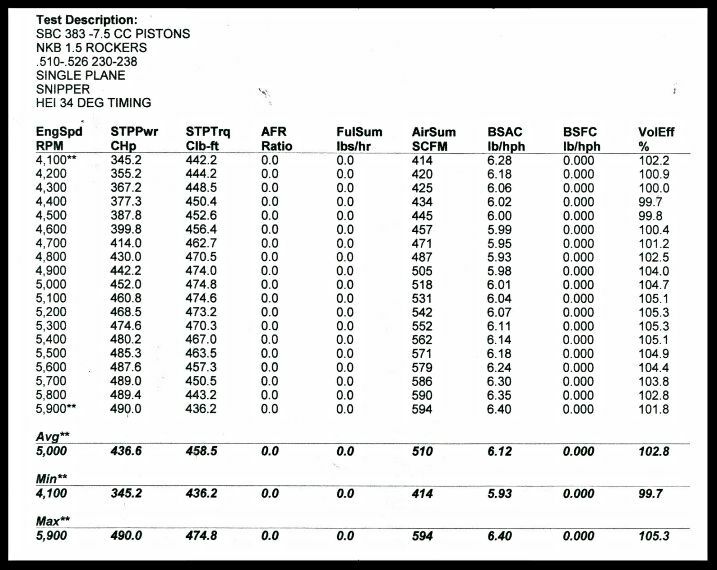 Some of the other engine builds are running the AFR heads. 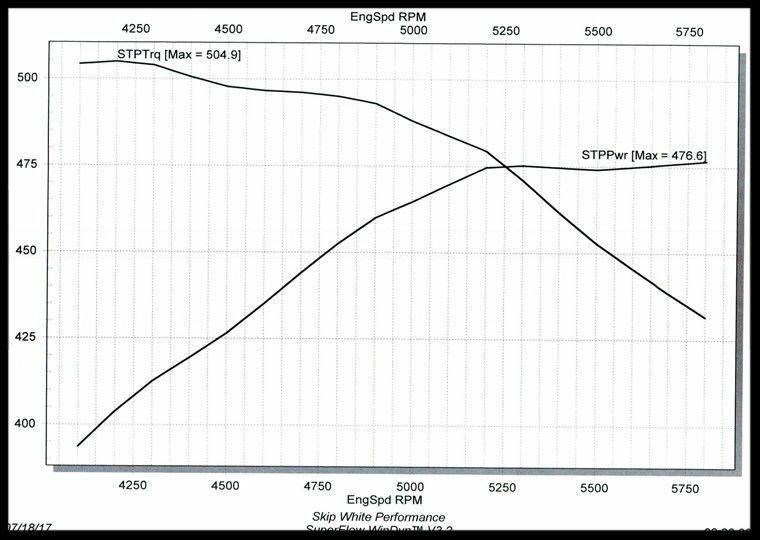 Various intakes and rocker ratios were used. 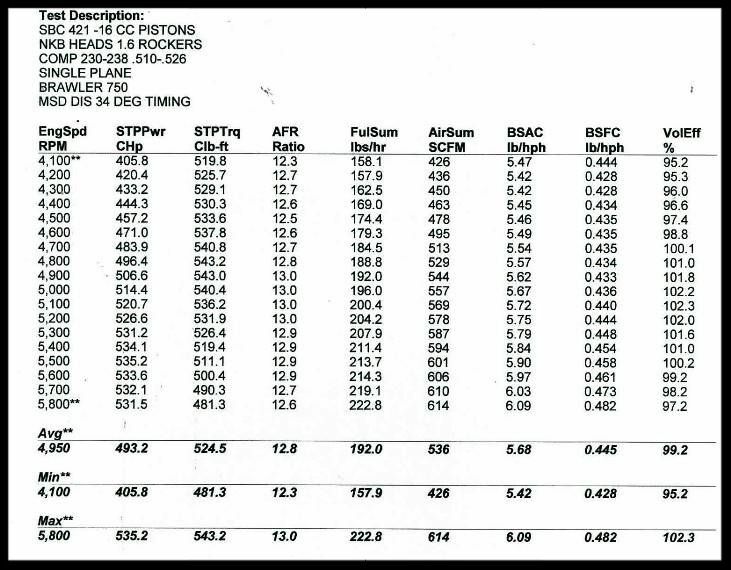 The hp numbers produced with our new line of custom ground Comp Cams well exceed most other cams on the market the have nearly identical lift, duration and lobe sep. numbers. 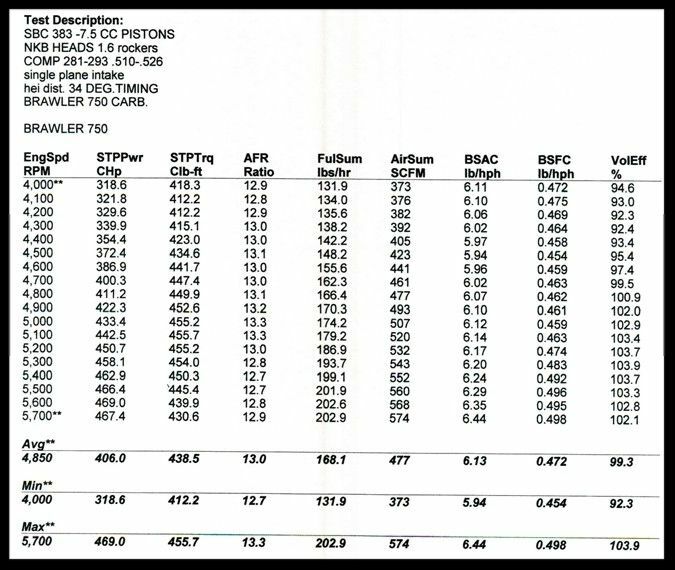 You will see this list of dyno results grow in time as we will continue adding other combinations. We also offer several other special grind cams with fabulous profiles. 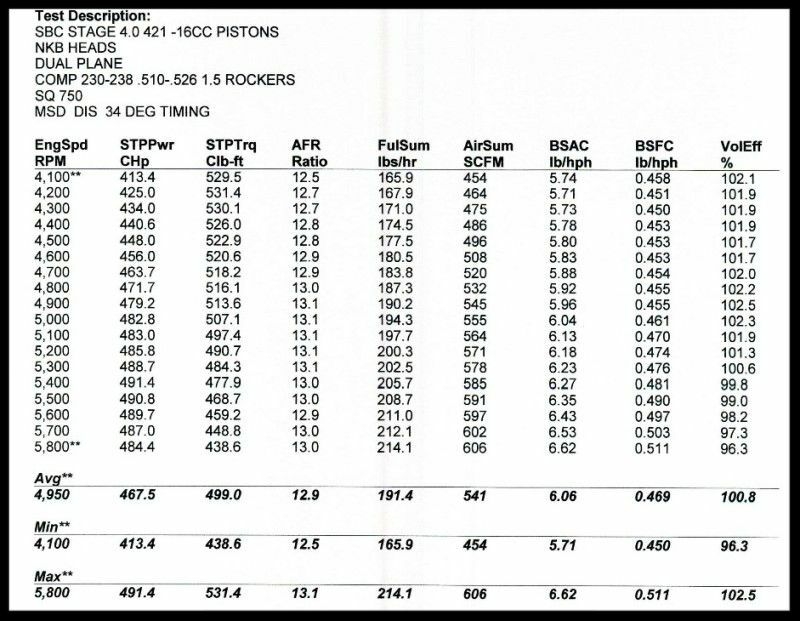 We have a total of four different sbc Comp cams listed with dyno results. 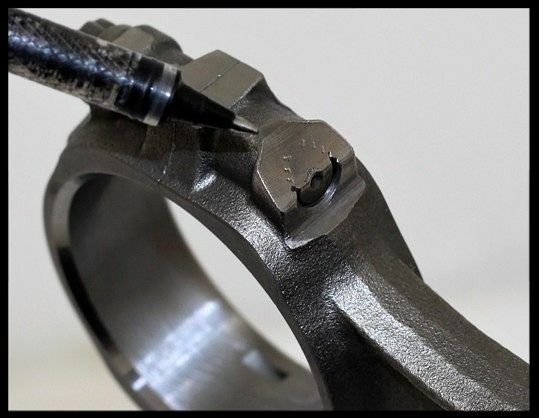 We also offer all of our cams in late model step nose or retro style flat nose for use in early style non-roller blocks. 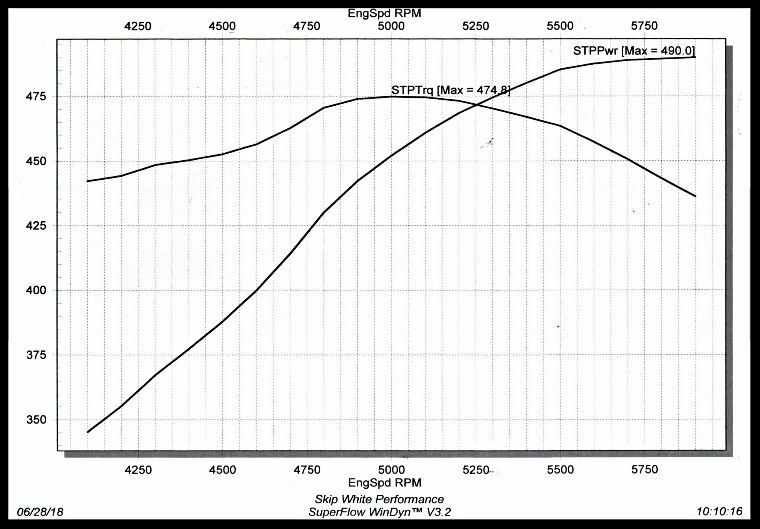 Official Dyno report on our 383 engine with this cam, and a single plane intake with 1.6 rockers and a Brawler 750 carb. 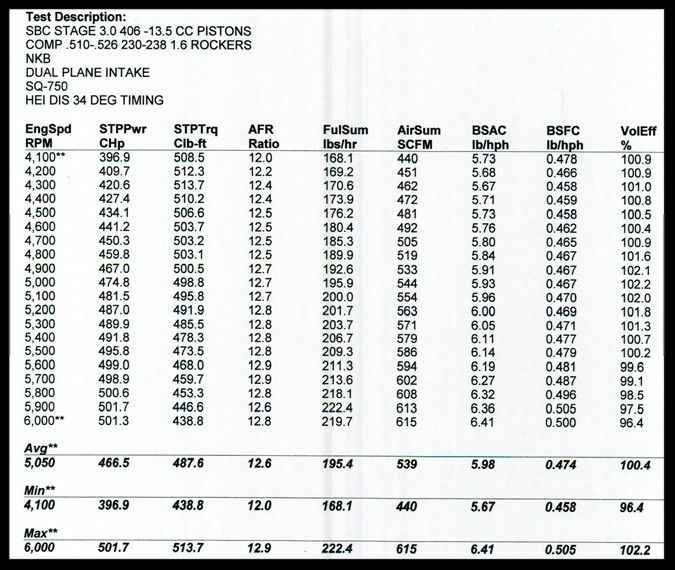 Official Dyno Report in our 421 engine with this cam, NKB heads, single plane intake, Brawler 750 carb, and MSD distributor. 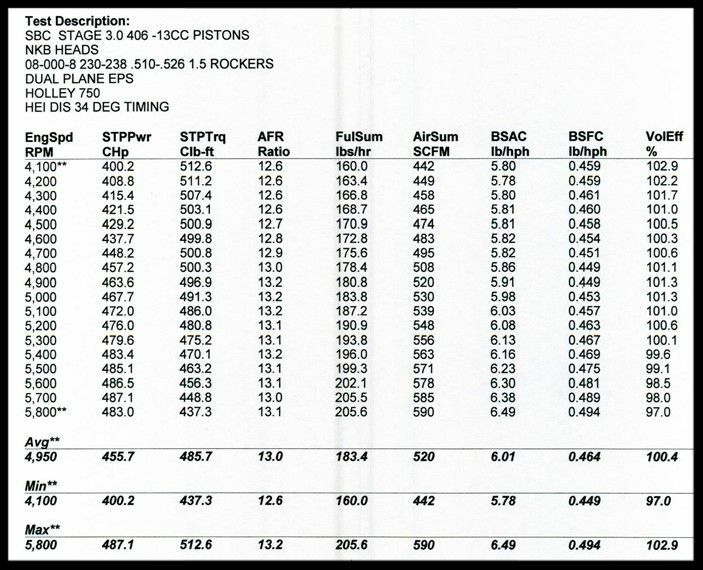 Official Dyno Report in a 421 engine with this cam, NKB heads, dual plane intake, Quick Fuel SQ 750 carb, and MSD distributor. 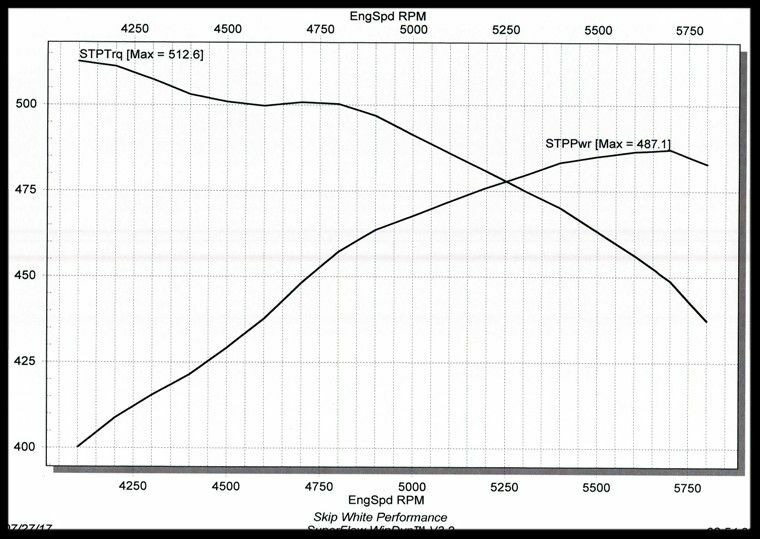 Official Dyno report on our 383 engine with this cam, a single plane intake with 1.5 rockers and a Sniper EFI system.